Delivering the highest level of professional service to those individuals who entrust us with their financial future. Growing a copper beech tree is the perfect metaphor for the journey of long-term wealth development and preservation. Taking over 150 years to grow, no individual that plants a copper beech tree will ever see it full grown. Natural hardships and manmade impediments may impact the tree’s development. Generations must nurture and invest in the tree for it to reach its potential. Once a copper beech tree fully matures, it will live for centuries. We have developed relationships that have lasted for decades and span generations.The Copper Beech Tree Group at Morgan Stanley develops a tailored approach to help clients preserve and grow their wealth based on each client’s unique financial needs and personal aspirations. We are hands-on investment professionals that seek to provide the highest level of service with all of the issues associated with wealth. 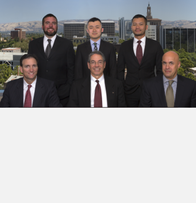 Our team strives to help our clients achieve their goals through consistent open dialogue, prudent counsel and our commitment to excellence.We understand the challenges and complexities of wealth and are prepared to help you accomplish your goals and objectives. For the seeds you may sow, whether they be family, philanthropic or social, we are honored to assist you in your journey. 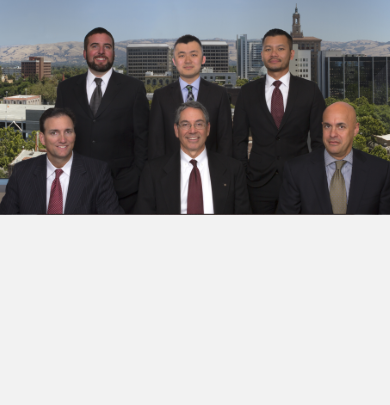 With over a century of combined experience in financial services, our team is prepared to help our clients with the challenges that wealth brings such as: estate planning, liquidity needs, family governance, risk management strategies, as well as dealing with the liability side of a client’s balance sheet. Our team couples individual capabilities and a collaborative platform with a willingness to embrace today’s technologies to best service our clients. Strategic planning and tactical discussions with our clients create the actionable steps needed to execute customized plans. Listening to and understanding each client’s needs enable our team to focus on long-run wealth development. We are proud that our clients have weathered market cycles time and again with us in their corner. Our relationships with clients venture far beyond investing, with a primary focus on life’s broader issues. We take time to get to know you, understand your desires and gain insight into your needs and goals. Only after understanding what is truly important to you, can we begin to craft your appropriate financial plan. Once we fully comprehend your overall financial standing, we thoroughly review all existing holdings utilizing sophisticated allocation models to create a portfolio specifically designed to meet your objectives. Our comprehensive plan illustrates both performance and risks associated with those returns. We then discuss this proposal with you and any advisors you wish, providing a complete understanding of the potential ramifications. If you agree with our recommendations, the plan is implemented and continuously monitored with periodic feedback and professional dialogue. We are able to offer a full complement of services to help you manage your way to a better financial future. As part of one of the largest financial institutions in the world, we have tremendous resources ranging from private banking and liability management to fluid investment in domestic and foreign securities. Whether we employ institutional portfolio managers for particular asset classes or design a customized portfolio, we take to heart our responsibility to track ongoing performance and suggest changes as market conditions or life's unexpected circumstances dictate. We understand that financial wealth is accumulated through a dedication to excellence. Our clients are sophisticated, successful individuals and demand a lot from themselves and their advisors. It is an honor to counsel and assist them in planning their life decisions. Our satisfaction stems from helping our clients achieve their financial goals, preserving and growing their hard-earned wealth. Optimal financial consulting results from years of industry experience, academic achievement and tireless effort, combined with an emotional desire to assist others in achieving their own destiny. 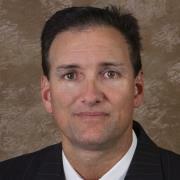 Jordan has been with the Firm and its predecessors since 1986. His clients include high net-worth individuals and families, closely held businesses and not-for-profit entities. Jordan assists his clients in investment policy formulation, outlining strategic and tactical allocations and overseeing execution to plan. Originally from Los Angeles, Jordan earned a BS in Business/Accounting from the University of Southern California and an MBA with a concentration in Finance from the Wharton School of Business. 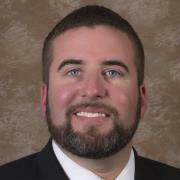 Jordan was formerly a practicing CPA with an international accounting firm and worked for a NYSE listed laser company. He wrote the original long-term strategic plan for Spectra Diode Labs, a Spectra Physics/Xerox joint venture, later to have gone public and ultimately acquired by a competitor. A proud Rotarian for over two decades, Jordan is passionate about giving back to the community. His enthusiasm is evident in his years of leadership roles and active participation in numerous charitable organizations. Jordan, his wife Joanne, and their two sons, Joseph and Jonathan, reside in Saratoga, California. As they witness their sons maturing, Jordan and Joanne take pride in discussing and delineating specific values with their own children, adopting their family principles of responsibility, accomplishment, involvement and philanthropy. Kurt was recruited to Morgan Stanley in 1993 and assists clients with all aspects of their Financial Planning from portfolio construction to life planning. In addition to being a Vice President, he has earned the designation of Senior Investment Management Specialist. This coveted distinction is awarded to Financial Advisors, by the Consulting Group, who have exemplified a comprehensive understanding and thorough knowledge of professional asset management. Prior to Morgan Stanley, he worked in Corporate Finance for a Silicon Valley technology company. Kurt saw all sides of the business from its start-up phase to the initial public offering. Originally from the Bay Area, Kurt holds a BS in Finance (San Jose State University), an MBA in Finance (Golden Gate University), a Certificate in Personal Financial Planning (University of California, Berkeley) and was a graduate in Wharton’s first class of the Private Wealth Management Program (University of Pennsylvania). 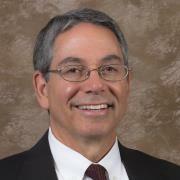 Kurt has time and again demonstrated a strong commitment to his profession and community. He currently volunteers or has served in leadership positions with the following organizations: Pat Tillman Foundation (Advisory Board), CFP Program - University of California, Berkeley (Advisory Board Chair), Pi Kappa Alpha Alumni Advisory Board (President), Financial Management Association - Silicon Valley Chapter (President), Youth Re:Action Corps - Leland High School (Mentor Board Chair). Since 1998, Kurt has taught the Investments course in their highly regarded Financial Planning Program for the University of California, Berkeley. While at Berkeley he has won multiple teaching excellence awards. In 2009, Kurt developed and taught the inaugural Essentials of Wealth Management course for Stanford University in their Continuing Studies Program. Additionally, his biography has been published in the directory of Who’s Who of Professionals and Who’s Who in America. Kurt lives in San Jose, California and cherishes time spent with his sons Kyle and Connor. Years of diverse experience, understanding risk and how to mitigate it, competency, and resources of a formidable firm allow Daniel to pursue his interest in enabling others to achieve their goals. 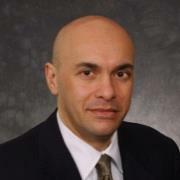 Daniel has spent years in the financial services arena including positions at Apple Computer, Inc. (Treasury-Capital Markets, Corporate Finance, and Foreign Exchange) and Deutsche Bank (Managing Director - Debt and Equity Capital Markets and Sales & Trading covering corporations, high net worth individuals and private equity firms). Additionally, he worked several years as a Chemical Engineer for GE in Upstate New York. After having spent his childhood in Ethiopia, Daniel moved to the United States in 1975 where he attended high school at Milton Academy in Massachusetts. He then received his B.S. in Engineering from Cornell and went on to get his MBA in Finance from the Wharton School of Business. Daniel brings a wealth of knowledge to his clients including asset allocation, hedging and monetizing of concentrated positions, foreign exchange and alternative investments. He speaks Italian and Amharic and is interested in world affairs. Bonnie, Daniel’s wife, and he have two young children, Marina and Alessandro. They find pleasure in spending time together: playing, helping both with school work, and guiding their development as engaged citizens. Daniel and his family live in Saratoga, California. Lawrence began his career with Jordan Walters and Kurt Carrasquilla in 1998. During his tenure, Lawrence has developed professionally having passed the series 7, 63 and 65 examinations. The breadth of his responsibilities include portfolio management, asset allocation analyses, investment policy development, proactive strategic discussions, and, as with all team members, client contact and excellent responsiveness. Prior to joining Morgan Stanley, Lawrence gained extensive management experience and communication skills while working in the retail service industry. He aptly combines a wonderful attitude with this experience in his daily client interactions. As a graduate of San Jose State University with a BS in Business/Finance, Lawrence is committed to the pursuit of continued study. 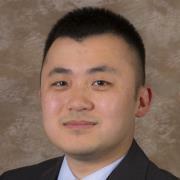 He has earned the designation of Consulting Group Analyst after completing a comprehensive advanced training program. 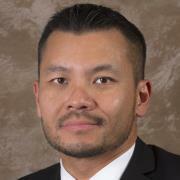 Additionally, Lawrence has been awarded the title of Financial Planning Specialist after completing extensive coursework, passing a rigorous exam and fulfilling significant annual continuing education requirements. Lawrence is a Bay Area native and enjoys the diversity, attractions and spirit within the community. He and his wife Ina live in Daly City, California with their daughter and son. Lawrence has been involved with a variety of charitable events, passionately donating his time and giving back to those in need. Annually, he participates in the Sports for the Worlds Children Benefit Tournament, helps serve food during the holiday season at St. Anthonys in San Francisco and coaches the Junior Giants and his church's youth softball team. Joseph was recruited in 2000 and has since surpassed all of our team's expectations. Drawing from his years of industry experience, Joseph brings a wealth of knowledge to our team and clients. In addition to his daily pursuit of precision, timeliness and proactive attention for our clients, he is well versed in our financial planning processes and investment strategies. Before joining Morgan Stanley, Joseph earned a BS in Business Administration with a concentration in Finance from San Jose State University. In addition, he earned the Financial Planning Specialist designation after successfully completing the firms rigorous and lengthy examination. He has obtained several securities licenses, including the Series 7, 63 and 65. He continues to strengthen his understanding of sophisticated and complex strategies, expanding and deepening his knowledge base. Originally from the Upper Midwest, Joseph has lived in San Jose since 1986. He resides in the Willow Glen Community with his wife and three children. He is an avid contributor to his community and enjoys volunteering his time for others. In addition to spending quality time with his family and community, he enjoys outdoor activities including hiking, biking and a persistent effort to lower his handicap on the golf course. Nicholas has been in the financial services industry since 2004 starting his career at Bank of America. He was promoted quickly and ultimately supervised a fast-paced, highly respected team at the bank. Nicholas was then recruited to Morgan Stanley and continues to build upon his industry knowledge and experience. With hard work and vigor in mind, Nicholas is committed to precision and diligence in our clients daily operational needs. With a Business/Finance degree from San Jose State University, Nicholas strives to utilize his academic foundation to better assist clients on a daily basis. As a San Francisco native, Nicholas enjoys the Bay Areas diverse community. Although he lives in San Jose, he makes frequent trips to San Francisco to spend time with his family and friends. Outside of the office, he is an avid sports enthusiast and enjoys following the Giants, 49ers, and Warriors year round. Nicholas has a very charitable spirit and volunteers his time with various non-profit organizations in the community. Ready to start a conversation? Contact The Copper Beech Tree Group today.